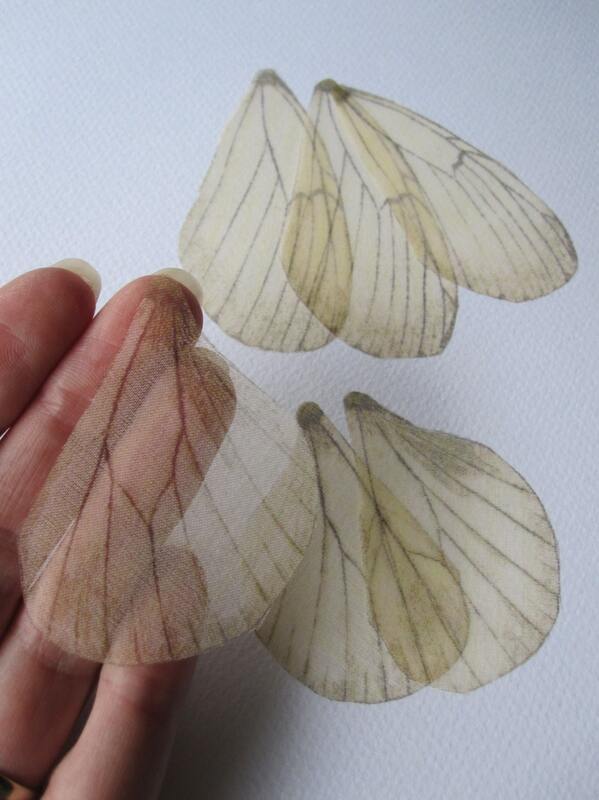 Hand-made silk organza butterfly wings. 6 pieces. Wings length from 55mm to 75mm. Then I printed them on high quality silk organza fabric and hand-cut. Every butterfly is a OOAK supply for your jewelry or sewing projects. Perfect for wedding.. you can use them in so many way!!! Ethereal.. light.. and romantic. Simply beautiful! Please pay attention when you touch butterflies. They are very delicate. Don’t stretch them! Butterflies can’t be washed but they are waterproof. However don’t spray perfume or alcool products over them. You can iron them at low temperature (silk). Handmade dress in ivory cotton jersey and lightweight unbleached cotton for the skirt. This dress can be customized in anyway! The dress shown has been sold, but if you’ll buy this listing I’ll be happy to make a new dress like this one! Please allow one week for shipment, thanks. The dress can be hand- or machine-washed, up to 40 ºC, and it can be ironed (low temperature). 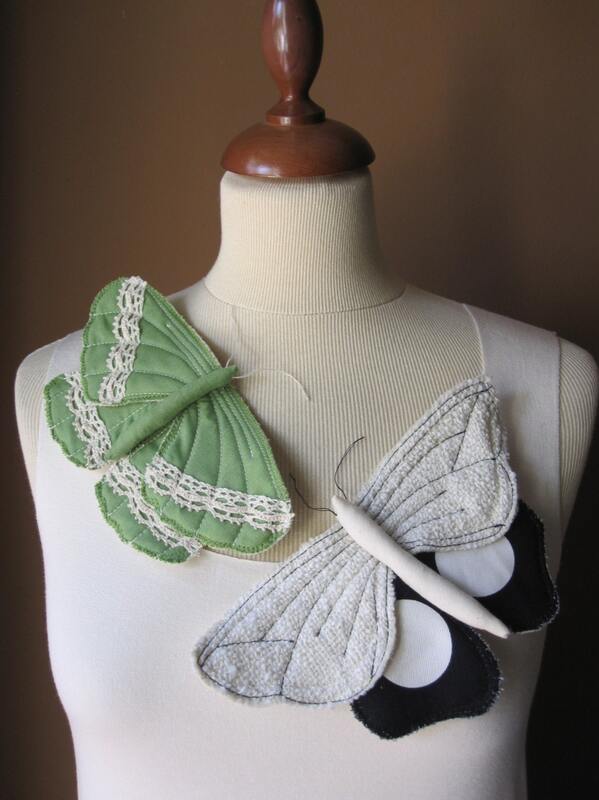 You can choose the butterfly moth in orange and ivory polka dots, or the green one with ivory vintage lace, or maybe the ivory and black one. Ready for shipping! I handmade this simple and beautiful obi belt using Italian leather in ivory colour. MUST HAVE! A romantic, vintage inspired, ring. 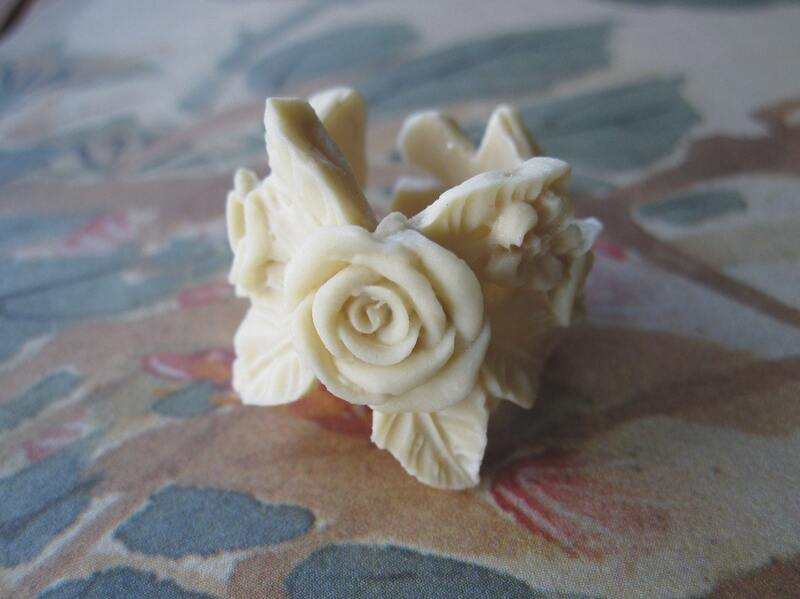 Matte finished ivory flowers. This ring is absolutely lovely! It can be custom made in almost any color or size. The one shown is a USA size 5 / 5.5 (It’s a little bit elastic) is sold. A custom ring will be made using your USA size. External circunference is 8 cm. High 2,5 cm. Each ring is handmade by me with resin. I’ll ship the ring well packaged with Priority airmail, cheapest and fastest way but not trackable then I highly recommend to choose Registered airmail as I’m not responsible for lost, stolen or damaged items by post office. Choosing Registered airmail, you’ll receive the tracking number, then you can track your package in www.poste.it/en web. Handmade by me using two different printed 100% cottons and a lot, lot, lot of love. It’s really confortable to wear. Perfect for any occasion. Very feminine! The colour base is white with beige, green and black leaves and fruits. 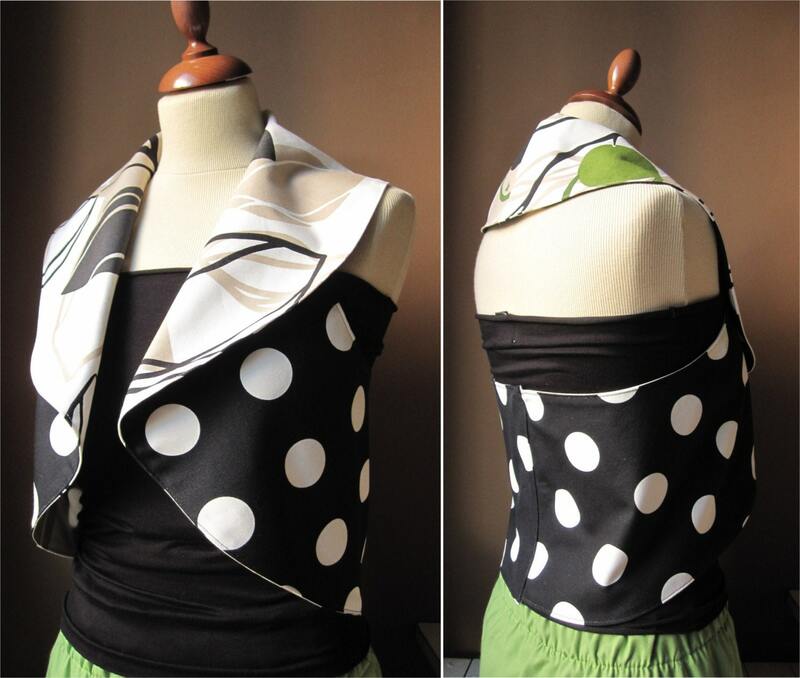 Reversible to black with white polka dots. It’s worn by me (I’m a 40-42 Italian size, SMALL) and by Betsy (my mannequin) that measures 87–67–90 cm. Available in any size you required. Jersey top and matchable green skirt are not included but available if interested. Convo me!!! The vest can be hand- or machine-washed, up to 40 ºC, and it can be ironed (cotton temperature).